The package arrived on my doorstep. A crisp new book, sent by the author, Christine Higdon. Her debut novel. I felt a sweet excitement, because I had mentored Christine in the early stage of her manuscript, and now here was the published book in all its bright freshness: The Very Marrow of Our Bones. Moments like this make my work a joy. I first met Christine when she took my writing class at the University of Toronto. I knew then, from her work in class exercises, that she was a writer of exceptional promise. Soon after that, she set to work on writing what would become The Very Marrow of Our Bones. She came to me for an evaluation of an early draft, and I was thrilled to see how her promise had bloomed. Armed with my rewrite suggestions, she polished the manuscript. I rejoiced with her when it attracted literary agent Hilary McMahon. And I cheered when it was picked up by ECW Press. 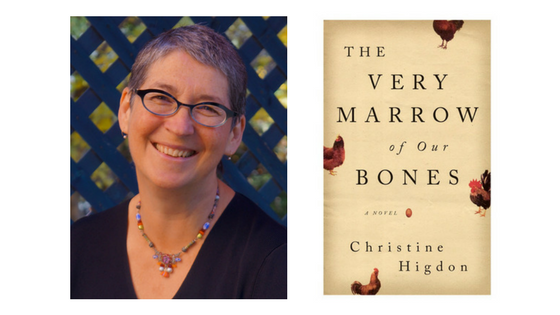 Christine – through her talent, commitment, and hard work – has created a stunning novel in The Very Marrow of Our Bones. Its official release is on April 3. Treat yourself to it! Join my next Online Master Class on Saturday May 26 for a fulfilling day of workshopping the first 30 pages of your novel-in-progress with me and your fellow emerging writers. It all happens online: no travel, no stress. For full details about the Master Class, please click here.